As part of an overhaul of credit card products for Honors loyalty members, American Express and Hilton are introducing a high-end Aspire Card next year that pays point bonuses as high as 14 times the number of dollars spent. 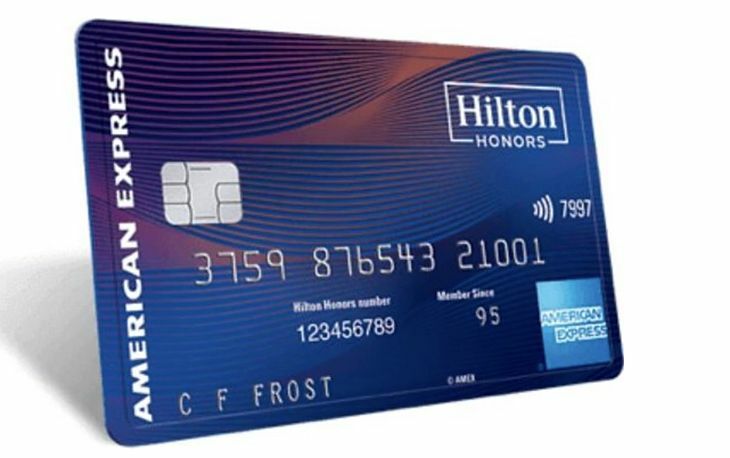 The new Hilton Honors American Express Aspire Card – which will be available starting in January, along with the other card versions – costs a hefty $450 a year. But it will return bonus Honors points worth 14 times the amount of dollars spent at hotels in the Hilton family of brands, and seven times the amount spent on flights booked directly with airlines or with amextravel.com, on car rentals booked from “select car rental companies,” and at U.S. restaurants. All other purchases get a triple points bonus. Too rich for your wallet? The new card lineup also includes a Hilton Honors American Express Ascend Card for a $95 annual fee. That provides a 12X Honors point bonus for spending at Hilton properties, 6X bonus points for spending at U.S. grocery stores, restaurants and gas stations, and 3X for other purchases, along with Honors Gold status, a free weekend night after spending $15,000 in a year, and 10 Priority Pass lounge passes. For “the occasional traveler,” the no-annual-fee, basic Hilton Honors American Express Card has eliminated foreign transaction fees, and offers Honors point bonuses of 7X for spending at Hilton properties, 5X for purchases at restaurants, gas stations and grocery stores in the U.S., and 3X for other purchases. It also provides Honors Silver status. Designed for small business owners, the Hilton Honors American Express Business Card includes access to the AmEx OPEN platform for small businesses, and returns 12X bonus points for Hilton-related purchases, and 6X bonus points for spending on mobile phone services, U.S. shipping services, and purchases at U.S. gas stations and restaurants as well as flight and car rental bookings. Cardholders get Honors Gold status, 10 Priority Pass lounge passes, and more. That card costs $95 a year. You can see full details of the new AmEx/Hilton card lineup here. 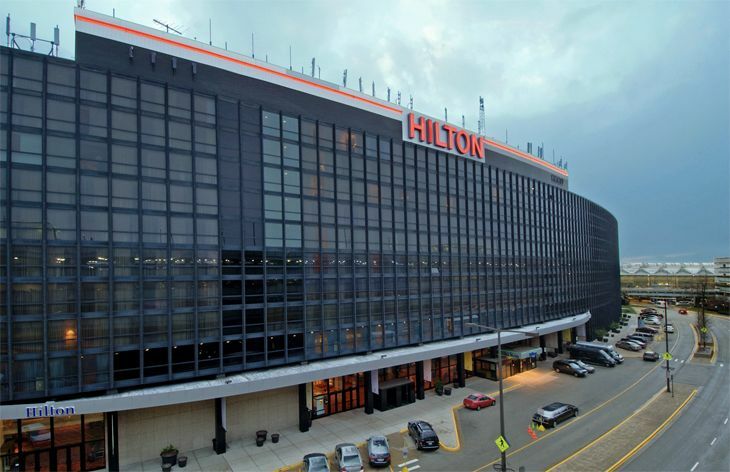 Hilton announced earlier this year it was ending its Honors card relationship with Citi and making American Express its exclusive co-branded card provider.